Spring is around the corner but I don’t see the weather improving! 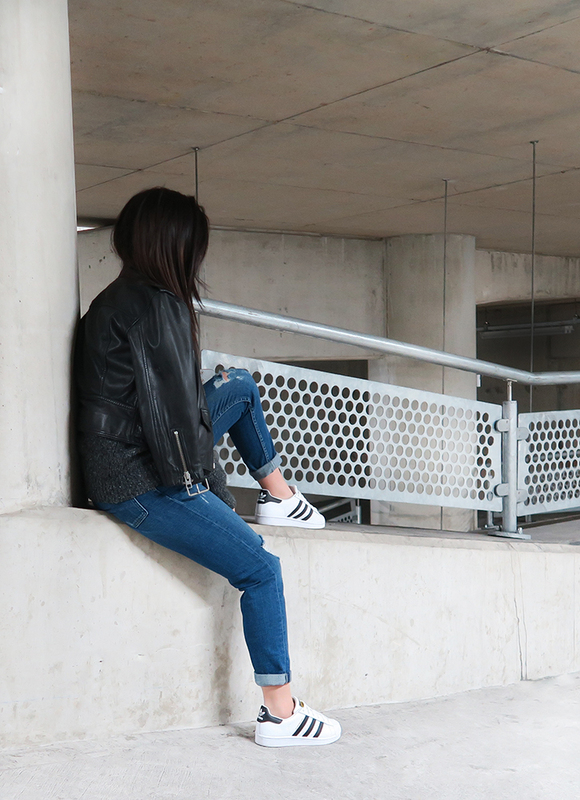 This outfit is a little throwback to the 90’s; styling around my Topshop ‘Lucas’ Jeans aka Skinny Boyfriend Jeans. I actually found it quite difficult to style as I am constantly living in my skinny jeans; I felt odd wearing a slightly bagger fit, it gave me such a tomboy vibe so I decided to dress to the way I felt. 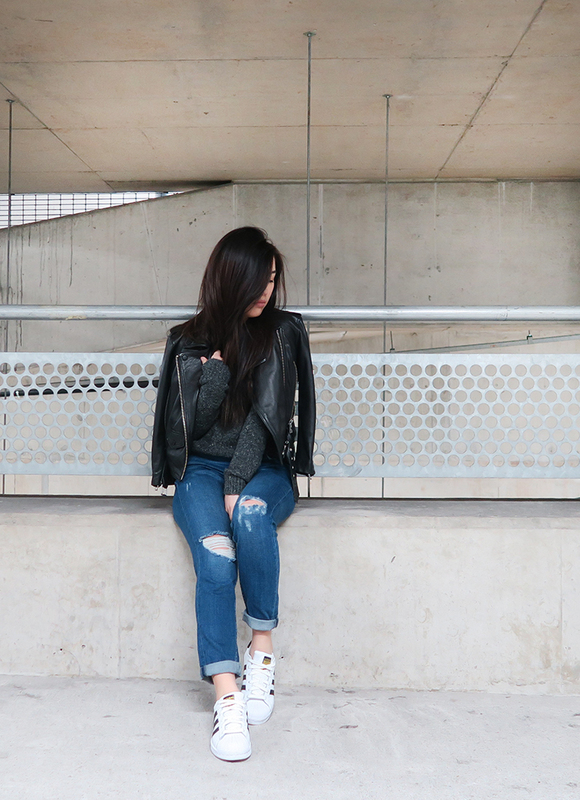 The Biker Jacket definitely added some edge to this look. This outfit is pretty simple to recreate with current items in your wardrobe; the statement Sneakers finishes off the overall outfit. 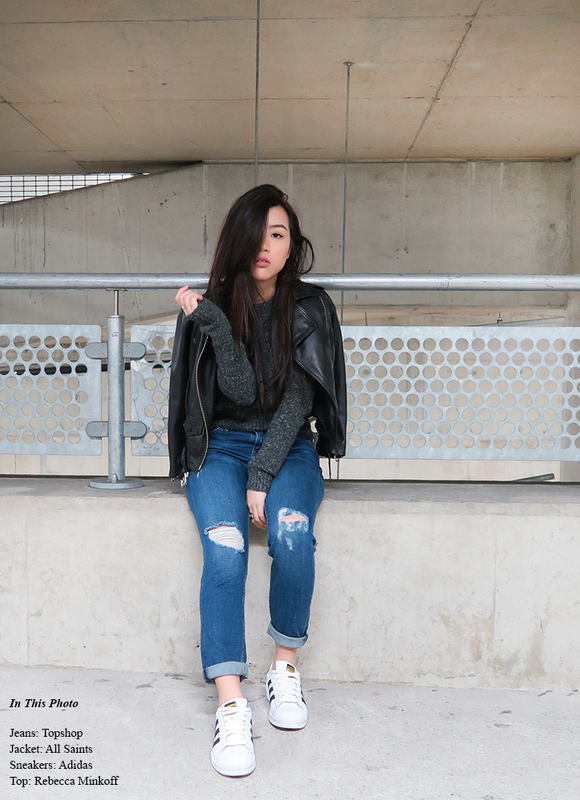 I hope you guys enjoyed this weeks outfit post! Ripped Jeans and Sneakers are definitely my new thing; I think it will take me a little longer to get used to the Boyfriend Jeans, but hey! I can’t live in skinnies forever! You look so cool and eddy, love these photos hun!